Have You Spotted London's Shiny New Public Water Fountains Yet? 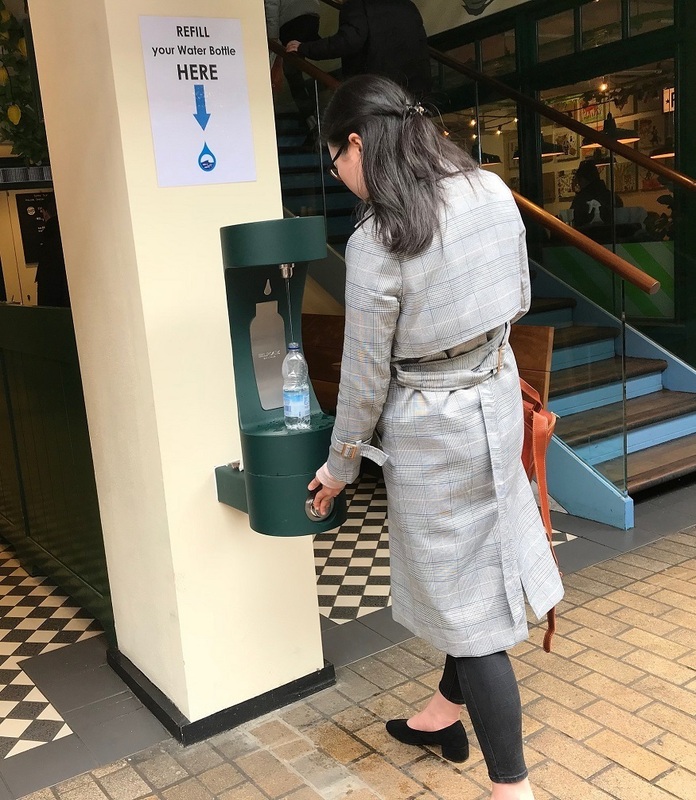 Maire Rose Connor Have You Spotted London's Shiny New Public Water Fountains Yet? Traipsing around London can be thirsty work, and there's nothing more irritating than having to derail your day out due to dehydration. You know how it is — you're absolutely parched, you take a improbably long detour in search of a newsagents and somehow end up spending a fiver on stuff you don't want just to avoid the card fee (hurrah for false economy). Thanks to the Mayor of London, though, such tedium could be a thing of the past. That's because 20 new public drinking fountains are springing up all over the city. You can find your nearest fountain using our map. At the time of writing, four are up and running. We've put these in green, with the remaining sixteen in blue coming soon. Do keep in mind that, as many haven't been installed yet, the exact coordinates are TBA. It's all part of a wider effort to stamp out single-use plastic waste by encouraging the public to refill and reuse, and it seems to be working. Over 8,000 litres of drinking water have been dispensed in less that a month from the Liverpool Street fountain — that's over 16,000 bottles' worth. The initiative also support measures to cut childhood obesity by providing a free alternative to fizzy drinks — hands up who else is guilty reaching for something sugary because they can't justify paying for a drink that comes out of the tap for free. This isn't the first time that drinking fountains have been installed to improve public health. In fact, London's very first public drinking fountain was built on Holborn Viaduct in 1859 because alternatives were not only scarce, but a bit too cholera-y for anyone's liking. The lack of safe drinking water resulted in the public sticking to beer instead, which gave the city's temperance societies impetus to commission plenty more. As a cursory Google image search will reveal, these 19th century offerings were somewhat more elaborate than today's. And as sleek as the new designs are, we we wouldn't say no to a bronze statue or two.